A friend of mine first showed me the Wiha PokitPak tools years ago but I only got around to trying one a few months ago. The idea behind these is simple and clever. Normally, you would need to carry both a driver and a selection of bits in some kind of a carrier. The PokitPak serves as both the driver and bit carrier. The PokitPak is a plastic case with a hinged opening. 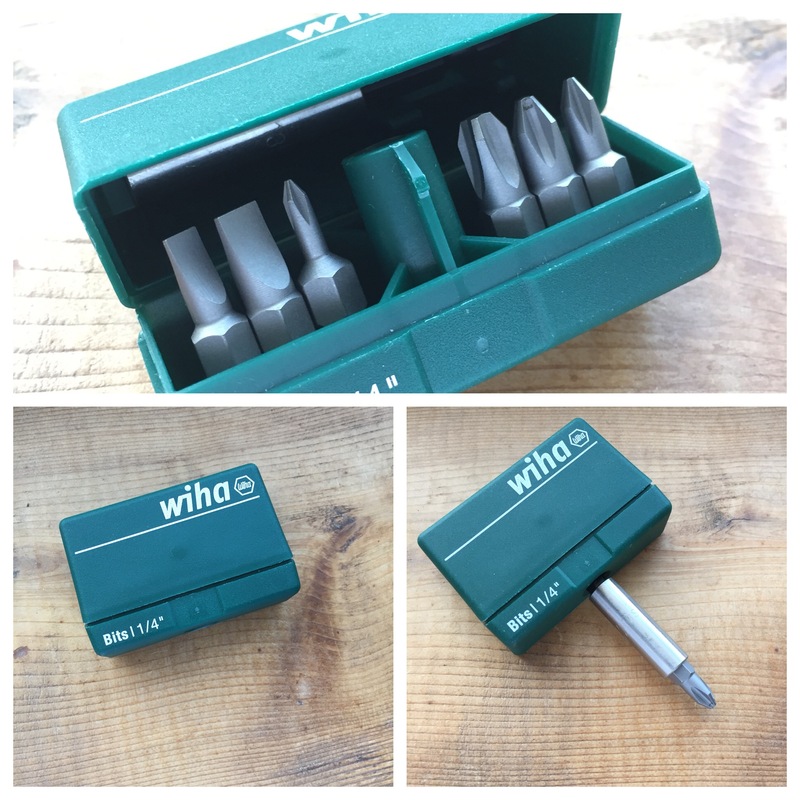 Inside, it contains 6 standard 1/4″ shank bits and a basic magnetic bit holder. The bits and bit holder are of very high quality as is typical for Wiha. The bottom of the case has a hexagonal hole that can accept the bit holder to turn the entire case into a sort of “T” handle driver. The bits found in these kits vary based on the kit that you select but the most basic and generally useful is the subject of this review, the 71198 PokitPak. It contains 4.5 and 6 mm flat bits and sizes 0, 1, 2, and 3 Phillips bits. Of course, you can also customize the kit by replacing the bits based on whatever you intend to work on. Overall, I have found the PokitPak to work well in anything short of high torque applications. The interface between the bit holder and case has surprised me with how strong it is but I can start to make it deform a bit if I start to lean into it. I suppose it would be nice if there was some kind of metal reinforcement in this area. I also tried this in my range bag for a while and found that it was too short for tasks like tightening an AR-15 grip screw. I think PokitPak is best used as a companion to another tool. I like to use it with some other kind of driver like some of the ratcheting drivers we have discussed in previous editions of The EDC Tool Roll. In this role, it can serve as both your bit carrier and an extension. This way you don’t have loose bits knocking around in your kit and you have the bonus of the “T” handle driver functionality. The PokitPak is pretty unique compared to other tools we have already review but you can use it as a driver or a companion to a dedicated driver or ratchet. Can you think of another useful way to carry driver bits or another tool recommendation that fits The EDC Tool Roll? Tell us about it in the comments below or drop us a line on the Contact page.